So excited to get my first blue egg! Queen Ann was in one of the nest boxes this morning, Lucille was in another one. I thought maybe Queen Ann was just eating the died herbs that I sprinkle in there. But later when I checked there was the blue egg! And now I know that Lucille has been laying the other eggs I've collected. Her eggs are just brown. 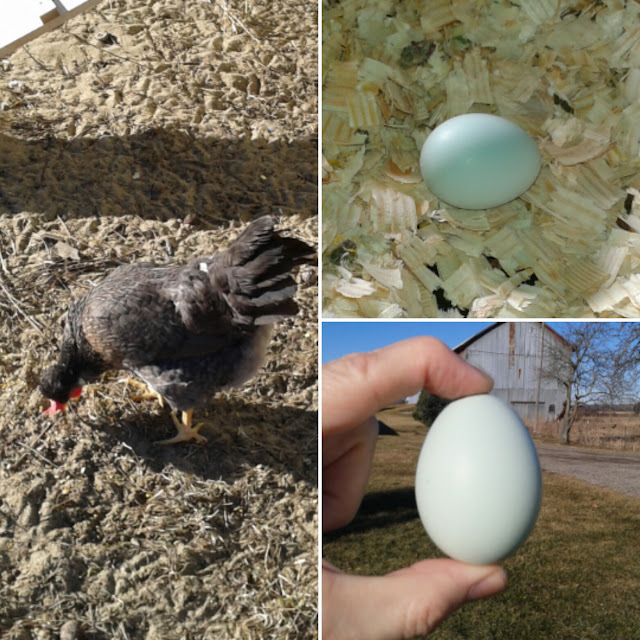 It will be interesting to see if when Laverne starts laying they have the speckles, like the eggs from last year!